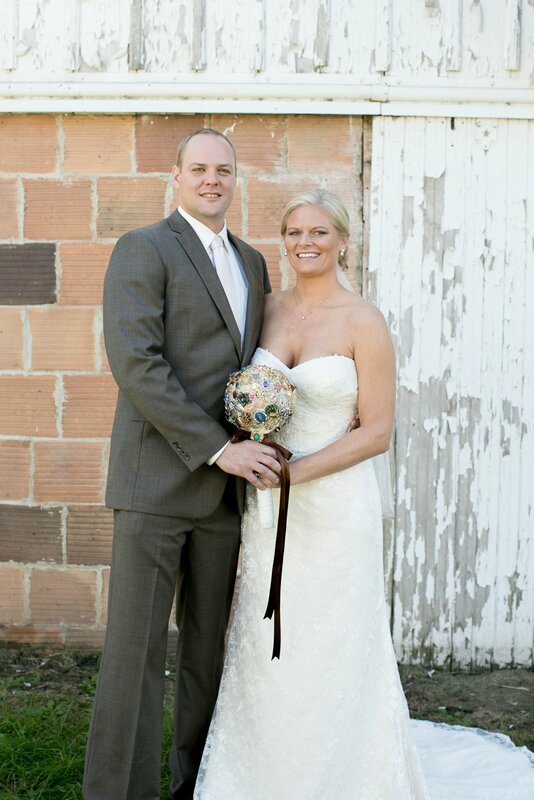 This rustic, farm-inspired wedding took place at a site of hard work, family bonds, and deep-rooted memories. What better place to bring together two families than on the land cared for by generations of their loved ones? 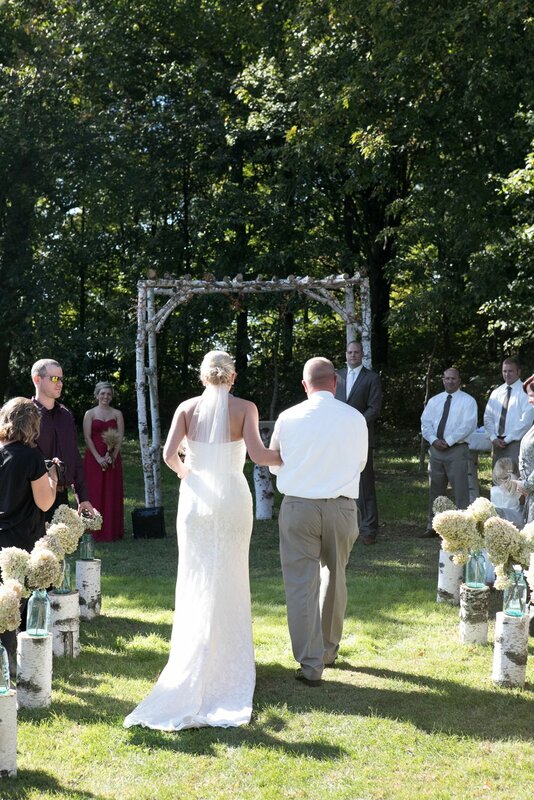 Scott and Jen VonLehe were married at Jen’s parents’ farm, a place rich with heritage, gratitude, and virtue. 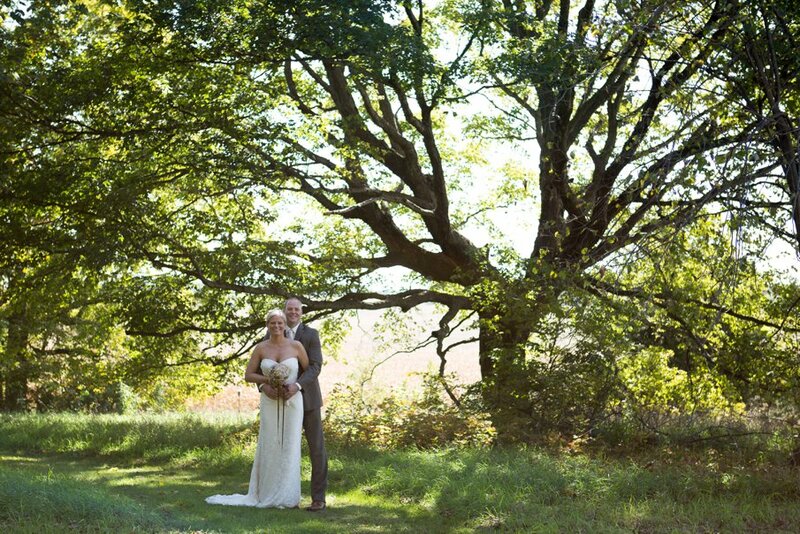 The couple’s “first look” photos were taken at Scott’s grandparents’ farm, another location that holds a special place in the couple’s hearts. Scott and Jen, 6’9” and 6’4”, respectively, are tall individuals with even taller personalities. The energy exuded by the couple was fun to capture, and their love for one another radiated more and more with every shot I took. I was in my element, surrounded by historic barns, fields, silos, and friends (not to mention all that natural lighting!) There were so many people, moments, and landmarks to capture. I soaked it all in as I looked through the lens. I was particularly excited about the different backdrops and props at our disposal. We even recreated the classic “American Gothic” painting, because when you’ve got a dressed-up couple at a farm, you can’t pass the opportunity up! I am so grateful for the weather we experienced that afternoon; the right amount of sunshine, mixed with the warmth radiating from the family, friends, and loved ones in attendance, put smiles on everyone’s faces. The bridal party’s solid, jewel-toned dresses paired perfectly with Jen’s handmade brooch bouquet. The wedding perfectly mixed vintage, agrarian themes with dazzling, elegant sparkle. It’s easy to see that Scott and Jen will live on happily for years to come, and I am so grateful they let me take part in their special day.